Feb. 3, 2019, 1:32 p.m.
[attention:poor english] Location:Sunset Beach Zenibako,Otaru,Hokkaido,Japan.（撮影地：日本北海道小樽サンセットビーチ銭函） Until recently, CGSS AR had a bug in which contour lines of 3D models disappear when performing specific actions. 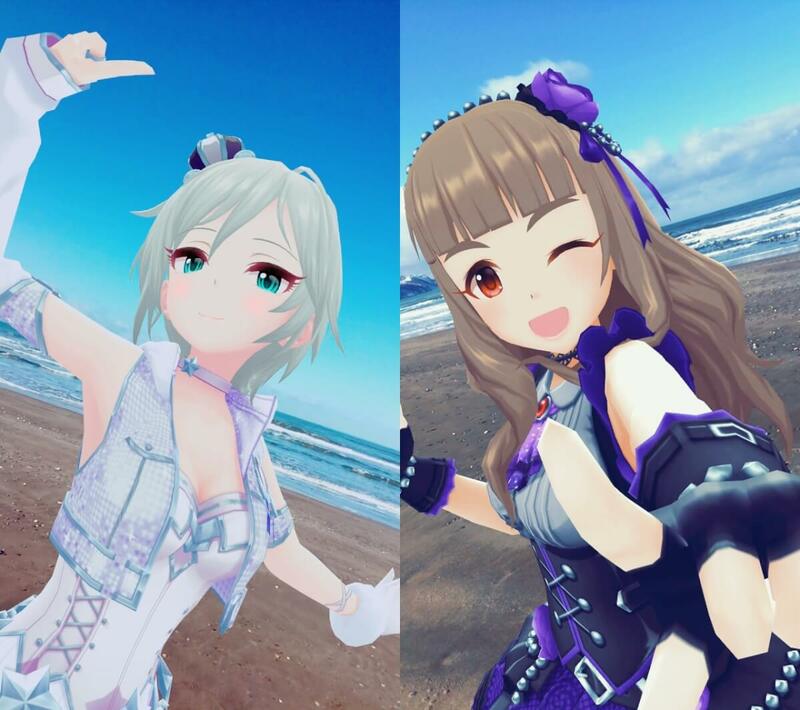 （最近まで、特定の動作を行うと3Dモデルの輪郭線が消えるバグがデレステARにありました。） This bug has already been fixed, but I am very sorry about it. Because there are no contours in our bodies, right? （このバグは既に修正されておりますが、私はそれをとても残念に思います。だって、私達の体だって輪郭線なんてありませんよね。） The idols who do not have contours were able to blend into the landscape more naturally, so I think that being treated as a bug is a waste. （輪郭線が無いアイドル達は、より自然に風景に溶け込むことができていたので、バグとして処理されたのは非常にもったいないと思っております。） By the way, the sky was beautifully sunny on this day, I was able to shoot very well, but the sea breeze is very cold and my fingers will not move steadily （ちなみに、この日は空が綺麗に晴れてとても気分良く撮影できていましたが、海風が非常に冷たくて、段々指が動かなくなってしまうほどでした。） Twitter:@suzuya_kneeso（Japanese）, @kneeso2（English） I upload CGSS AR photos everyday, so please look if you feel like it.